This website was a blast to build. 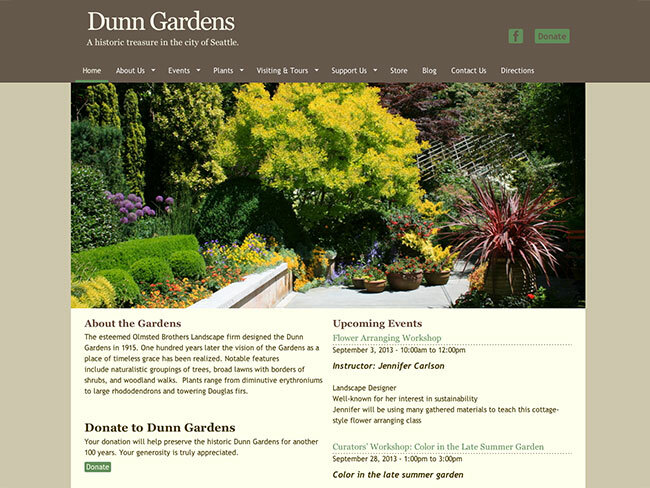 Their previous site was mostly static HTML, which made it difficult for Dunn Gardens to post about their frequent events or update their plant listing. I knew WordPress wouldn’t be the best fit for this website so we decided to go with Drupal. Now it’s easy for them to update board member bios, feature their fundraising events, and showcase photos of their gorgeous grounds. I got to build my first Drupal module to connect the site to an Authorize.net shopping cart. Fun fun!